A Delhi court today said it would hear on July 21 a 1984 anti-Sikh riots case in which the CBI has sought permission to conduct polygraph test on Congress leader Jagdish Tytler. NEW DELHI: A Delhi court today said it would hear on July 21 a 1984 anti-Sikh riots case in which the CBI has sought permission to conduct polygraph test on Congress leader Jagdish Tytler, who had been given clean chit thrice. The court has sought the CBI investigating officer's response on the plea of controversial arms dealer and witness Abhishek Verma, who has given conditional consent to undergo lie detection test, to provide him round-the-clock security till the time he undergoes the test. Additional Chief Metropolitan Magistrate Shivali Sharma had earlier asked Verma to file a written application in this regard and sought the IO's response. Verma had been seeking 24-hour security for him and his family citing serious threats to their lives. He, however, had agreed to the suggestion given by the counsel for the victims in the court that he be given roundthe-clock security till he undergoes polygraph test after which the threat perception be re-assessed. Besides Verma, the CBI has also sought Tytler's consent to undergo lie-detection test, which he has refused. The court had on May nine directed Tytler and Verma to give an "unambiguous" reply on whether they wanted to undergo lie detection test. It had held that the CBI's plea for obtaining their consent for the test was maintainable. The CBI's move seeking permission to conduct polygraph test on Tytler and Verma came in pursuance to the court's December 4, 2015 order in which it was mentioned that the lie-detection test may be conducted, if required. The case pertains to the riots at Gurudwara Pulbangash in North Delhi where three people were killed on November one, 1984, a day after the assassination of then Prime Minister Indira Gandhi. 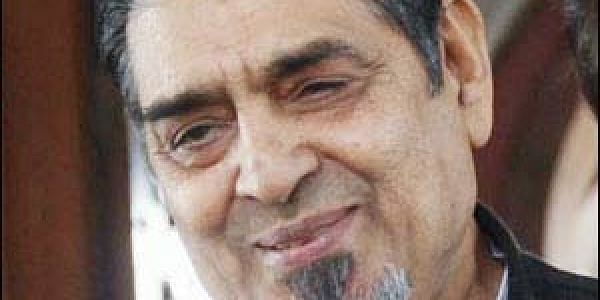 Tytler, who has denied any role in the riots, was given clean chit by the CBI thrice in the case, but the agency was directed by the court to further investigate the matter. The victims had filed a protest petition challenging the CBI's closure reports in the case. The court had in December 2015 directed the CBI to further investigate the matter and decided to monitor it every two months to ensure that no aspect is left uninvestigated. The agency had reinvestigated the case of killing of Badal Singh, Thakur Singh and Gurcharan Singh near the gurudwara after a court in December 2007 refused to accept its closure report. The CBI has filed three closure reports in the case.